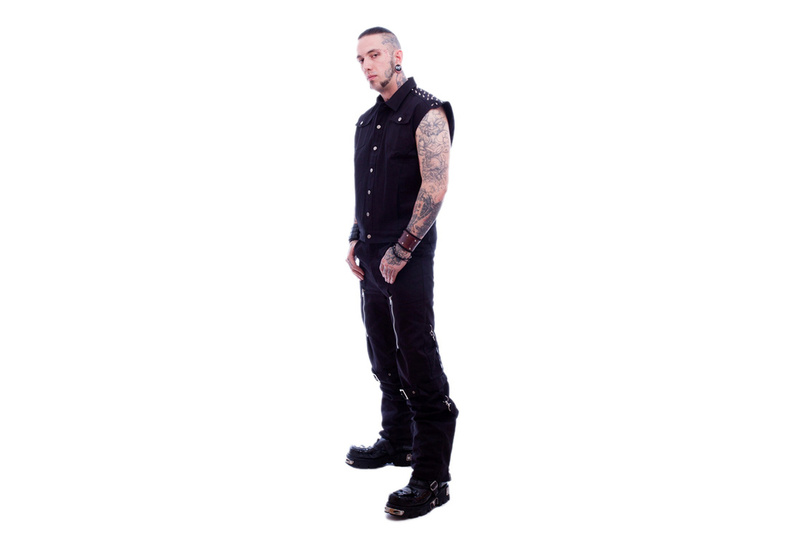 Men's sleeveless jacket with spike detailing at the shoulders and large metal button fastening. Made of 100% cotton and imported from the UK. Comes in sizes Medium, Large and XLarge. This vest/jacket can be worn alone, over a t-shirt or a long sleeve shirt. It is perfect for dancing on those hot club floors.